From the New York Times bestselling author of The Gutsy Girl comes this provocative, compelling novel of irrevocable consequences for people thrust unwittingly into a devastating war of nations and American identity—based on a little-known true event. December 1941. The inhabitants of Niihau lead a simple life. Mostly Hawaiian natives, they work the ranch of Niihau's eccentric haole owner, who keeps his island totally isolated from the outside world, devoid of cars, phones, and electricity. But then a plane crash-lands there, and although the villagers rescue the pilot, they have no idea that he has just attacked Pearl Harbor. War has now come to Eden, slowly undoing its tranquillity, widening the cracks in the already troubled marriage of Irene and Yoshio Harada, the island's only Japanese-American couple. It will test everyone's loyalties and all they believe in . . . as Paradise, once within reach, slowly falls victim to its own isolated innocence. 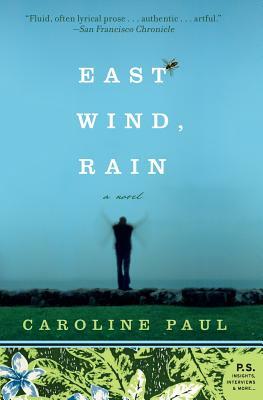 Caroline Paul is the author of Fighting Fire, a memoir of her time as a firefighter in San Francisco, where she still lives. This is her first novel.